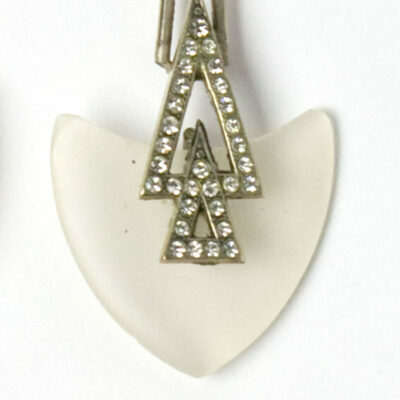 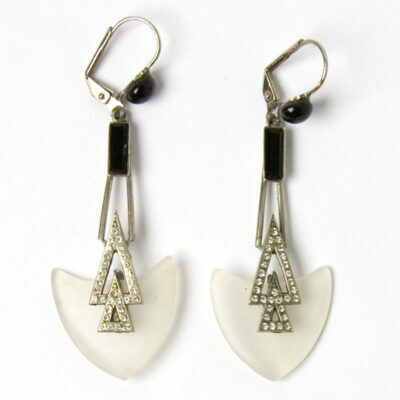 These Art Deco-style earrings are a bit of a mystery. 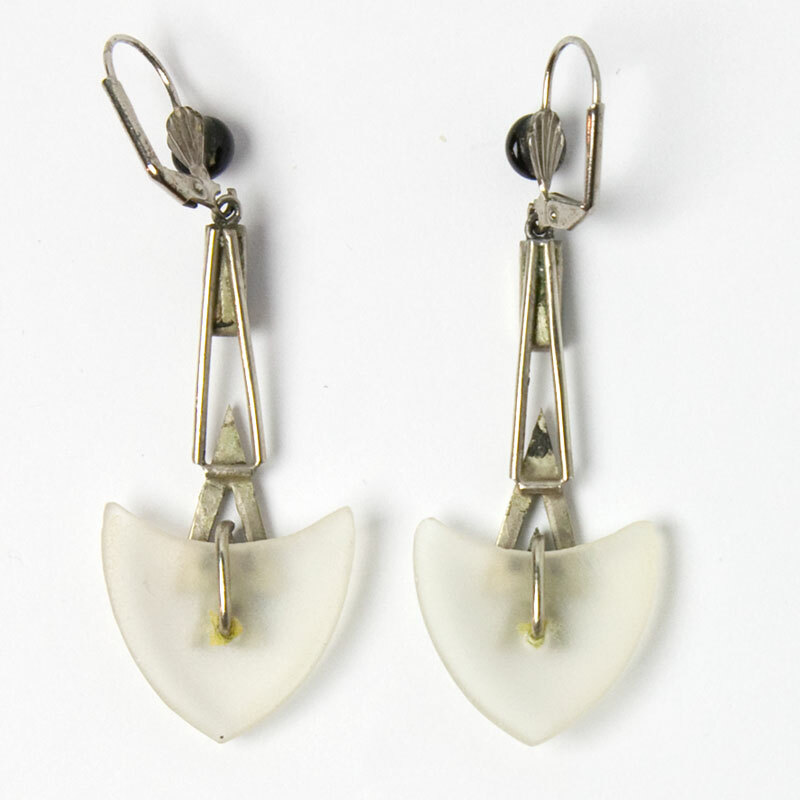 Based on what I’ve seen in Ginger Moro’s book (European Designer Jewelry, p. 49), I’m guessing that this pair was made in Europe in the 1980s from vintage materials. 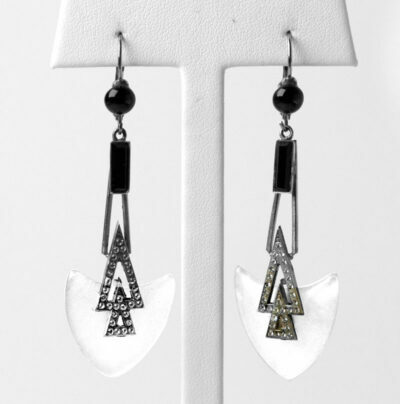 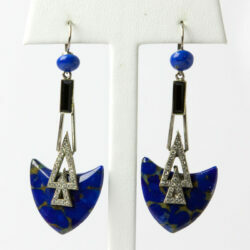 Each rounded-triangular-shaped lapis-glass drop is embellished with diamante and a rectangular onyx-glass stone. The ear wires with lever-backs are original to the earrings and unmarked. Regardless of their date of manufacture, these earrings from my personal collection are distinctive and beautiful. Scroll down to see the same design in camphor glass.